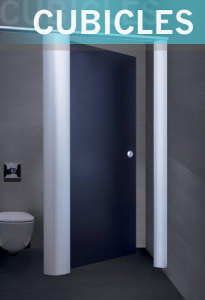 If it’s a replacement cubicle solution you require, or a full, new cubicle systems installation with IPS Panels & Ducting, then look no further than RDM Cubicles. 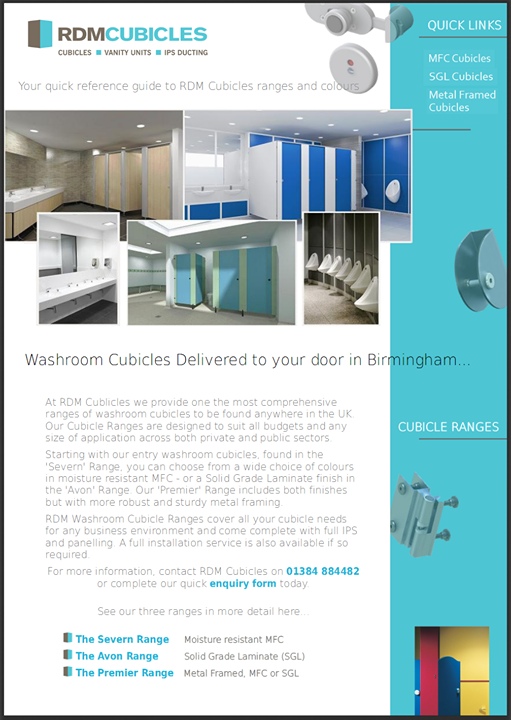 RDM Cubicles are a Midlands based Washroom Cubicles Supplier who are located within minutes of most major UK road networks and can ordinarily deliver cubicles and paneling to most Cardiff locations within approximately two hours of your order leaving our stores. To review our superb range of quality cubicle solutions, please start with our Severn Range, which features Moisture Resistant Melamine Faced Chipboard Cubicles , or if you are looking for a Solid Grade Laminate System then our Avon Range should have everything you need. Finally, our top line Premier Range, offers you the choice of sturdy metal framed Cubicle solutions, in either an MFC or SGL finish.